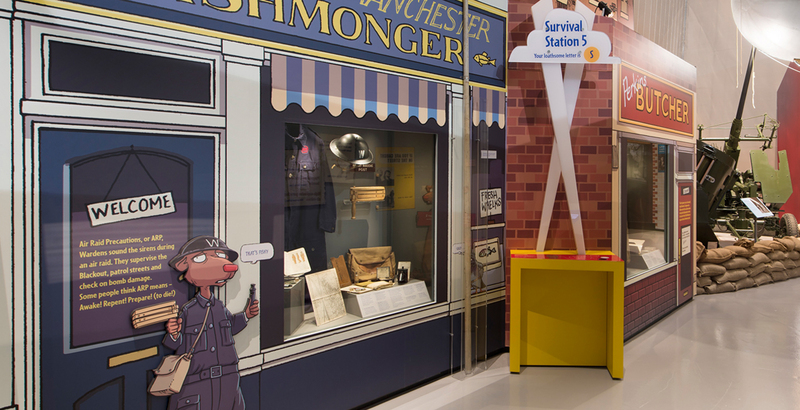 Working with Scholastic Children’s Books, publisher of the Horrible Histories®, we developed a highly experiential, engaging and interactive exhibition on the theme of the Second World War Blitz to mark the 75th anniversary. 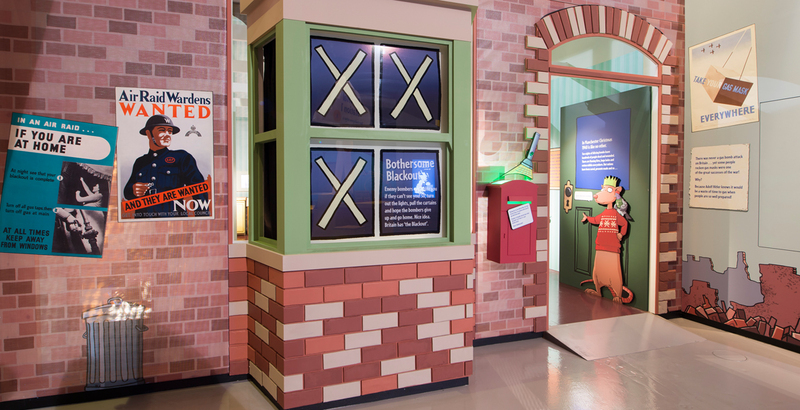 Using the visual style of the Horrible Histories® brand we created a series of three dimensional immersive environments to lead visitors on a journey through the Blitz. 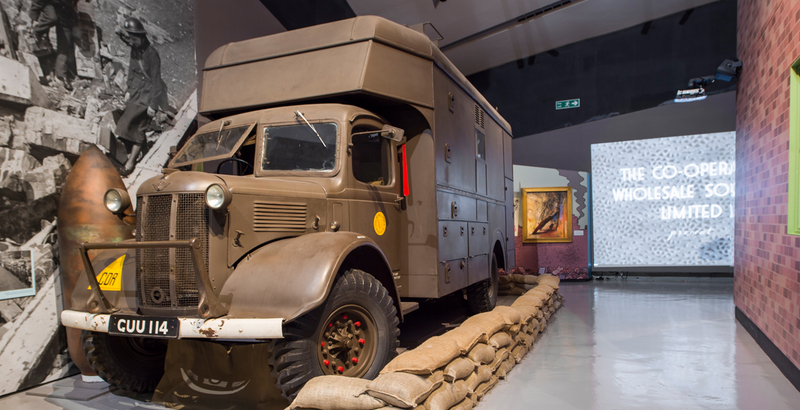 The key character of Rattus guides visitors around the exhibition together with his hapless sidekick, Pigeon, revealing some of the terrible truths behind this catastrophic conflict along the way. as well as a place for younger visitors to complete their Survival Guides. done and children (and, frankly, adults) will love it. – Inspirational Travel with Kids! encounter the bad blackout and race a messenger pigeon. two days after the Manchester Blitz which devastated large parts of the city. hands-on interactives designed to engage a wide range of ages and abilities. provides the backdrop to a propaganda film. 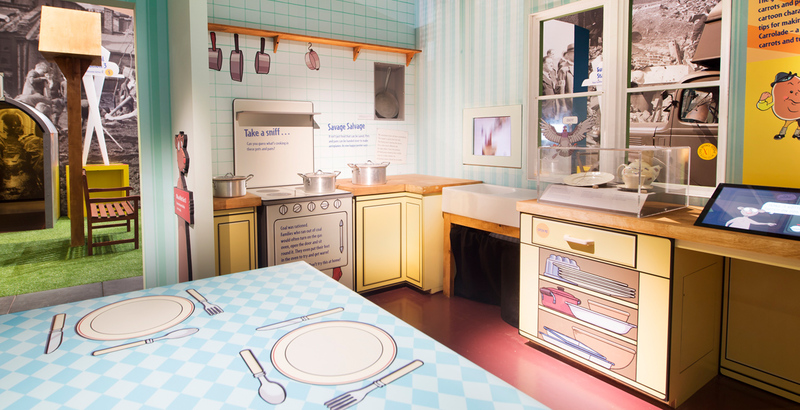 A young visitor explores the smells of wartime cooking in the 1940s House. Visitors were encourged to leave feedback and to share their memories and experiences. The race is on – cycling to beat the messenger pigeon! Visitors could milk a life-sized cow when they were evacuated to the country. Visitors sniff their way through the stinky smells from the pig bins. Large scale objects created exciting focal points throughout the exhibition. as they begin their journey through the Blitz.